This classic luggage name tags are the perfect bag and travel accessory. An ageless design suitable for older children or event adults. 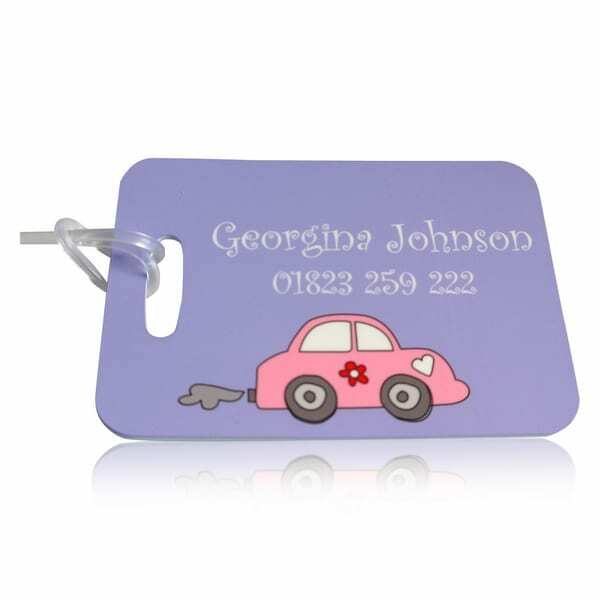 Luggage bag tags are a brilliant way to identify all types of bags from nursery bags to holiday suitcases. Backpacks to golf bags. In fact any bag really. 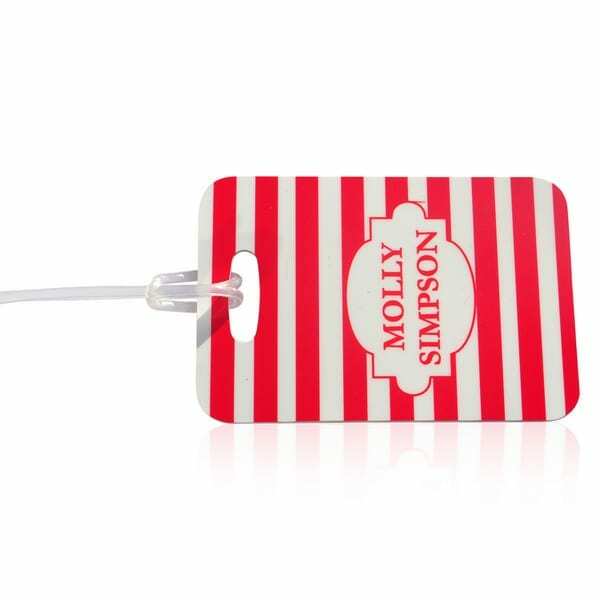 Bright luggage tags not only enable you to recognise your bag, but prevent others from taking your bag in error. Our luggage name tags are printed on both sides and come in a choice of bright colours. Personalise your luggage name tags with up to 2 initials and you can also have your name under the initials if required. Our tags have a stunning high gloss finish and come supplied with a clear loop attachment. Made from a super strong rigid plastic our custom printed luggage tags will not tear off like paper tags. Available to purchase as 1 tag, 2 tags or 3 tags. The more you purchase the more cost effective they become. 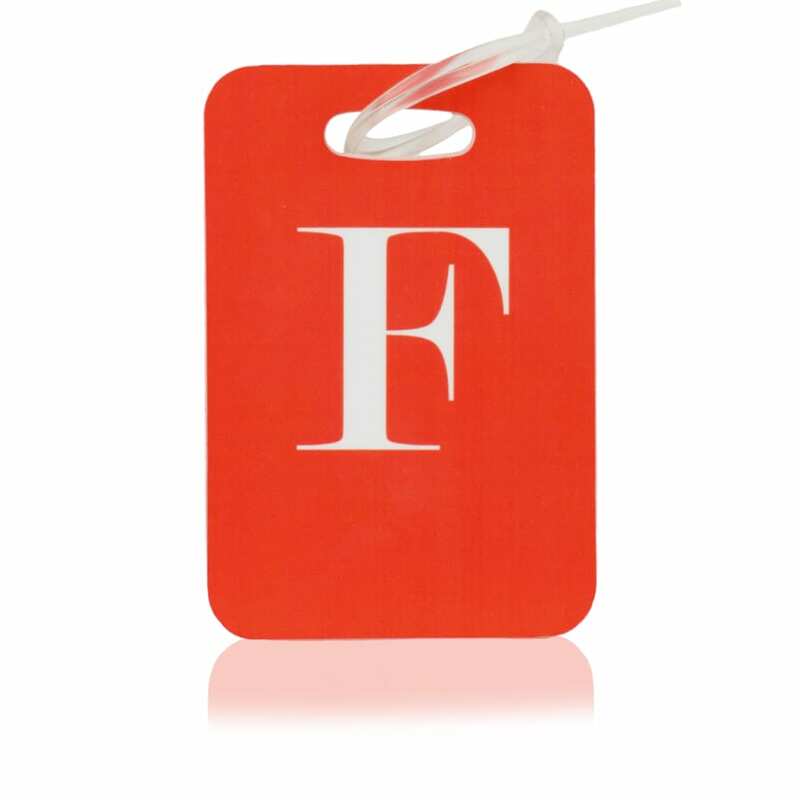 To qualify for the discounted price each tag must be the same colour and have the same initials. Every travel luggage tag is individually hand printed by Name it Labels in our Somerset Studio. 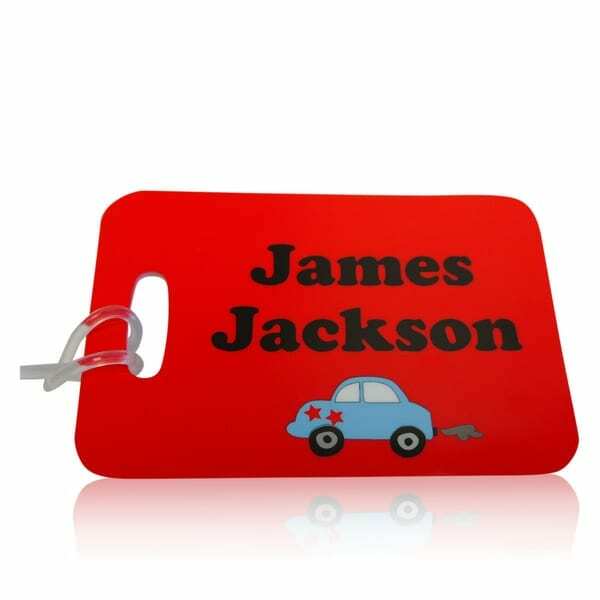 If you are looking for more unique luggage tags click here to see our entire range of luggage name tags.